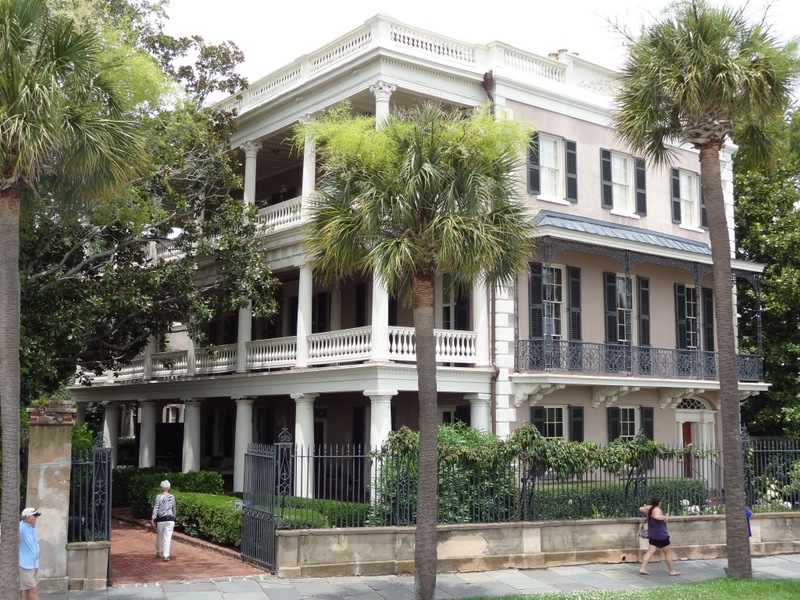 The Battery in Charleston is a favorite tourist attraction—and with good reason. 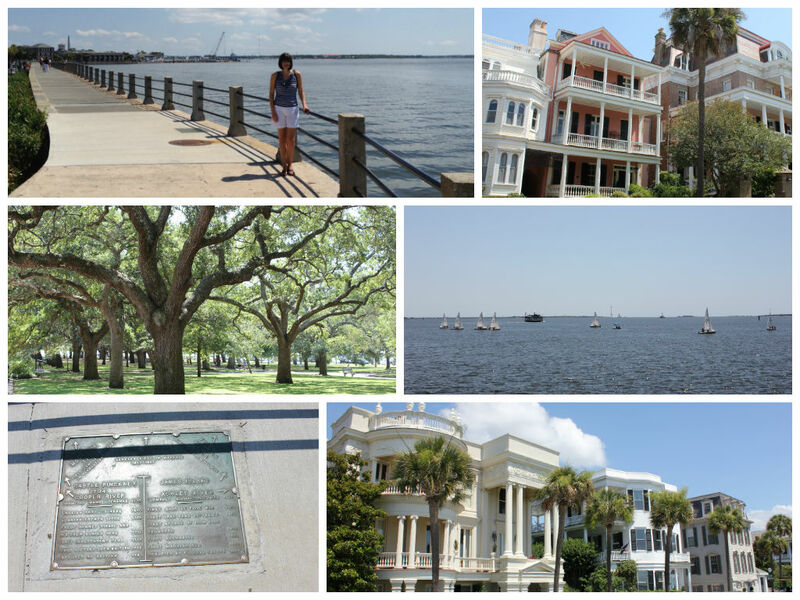 A wide promenade runs along the lower shore of the Charleston peninsula offering splendid views of grand antebellum homes standing shoulder to shoulder, Charleston Harbor and the meeting point of the Ashley and Cooper Rivers, and beautiful White Point Garden with its stately live oaks and plenitude of artillery and historical monuments. In the distance, Fort Sumter, Castle Pinckney, James Island, and Fort Moultrie can be seen as well. 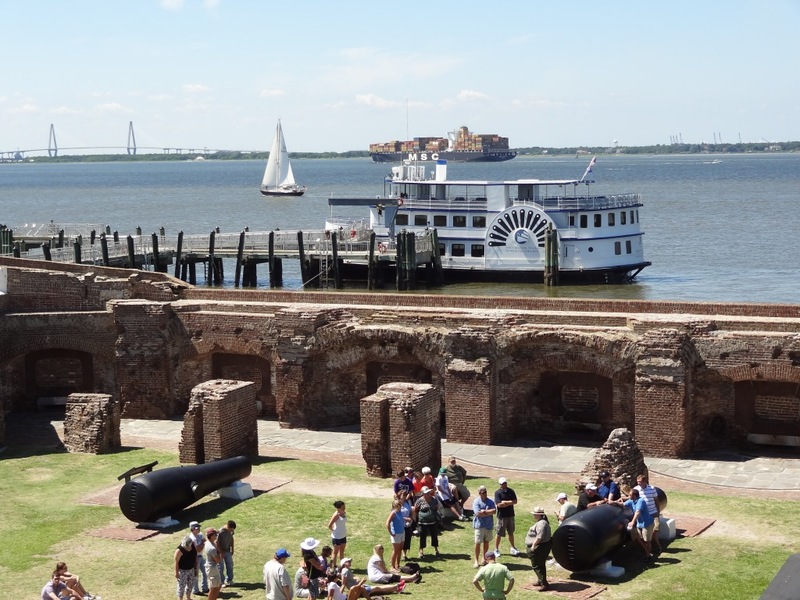 The Battery itself is so-called because it originated as a fortified seawall, built in the 1700s using stone, bricks, and masonry. It has since been demolished and rebuilt, but is still known as The Battery. When federal troops closed in and forced the evacuation of Charleston, the Confederate military blew up all of their remaining munitions here on The Battery—to keep them out of the hands of the enemy. When a huge Blakely gun exploded and sent pieces of shrapnel flying through the air, one large fragment passed through the roof of the Thomas Roper House (below) and lodged in a rafter—where it remains to this day! 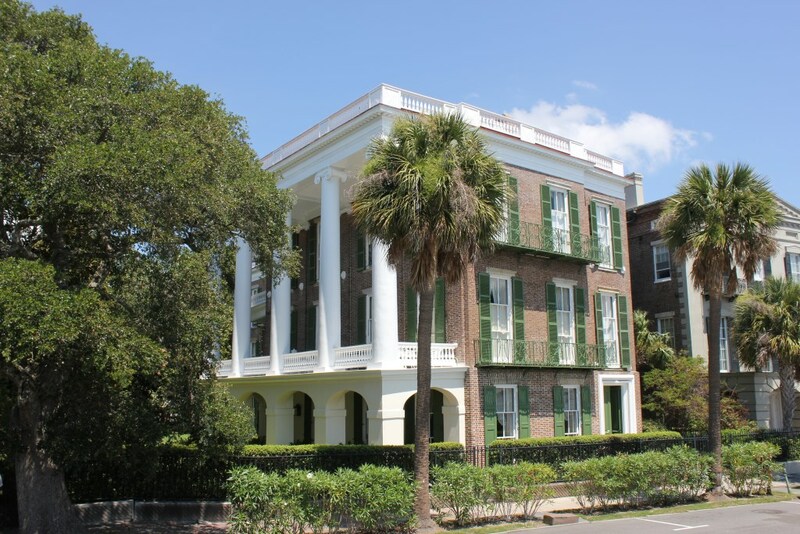 It is said that Confederate General P. G. T. Beauregard observed the bombardment of Fort Sumter from the piazza of the Edmondston-Alston House (below), another impressive mansion located on The Battery. Confederate General Robert E. Lee took refuge in that same residence in December 1861 when the hotel where he was staying was threatened by fire. We toured the Edmondston-Alson House and were fascinated by its beauty and interesting history. Daily tours are offered. For more information, visit http://www.edmondstonalston.com/. The pineapple is a traditional Southern symbol of hospitality. 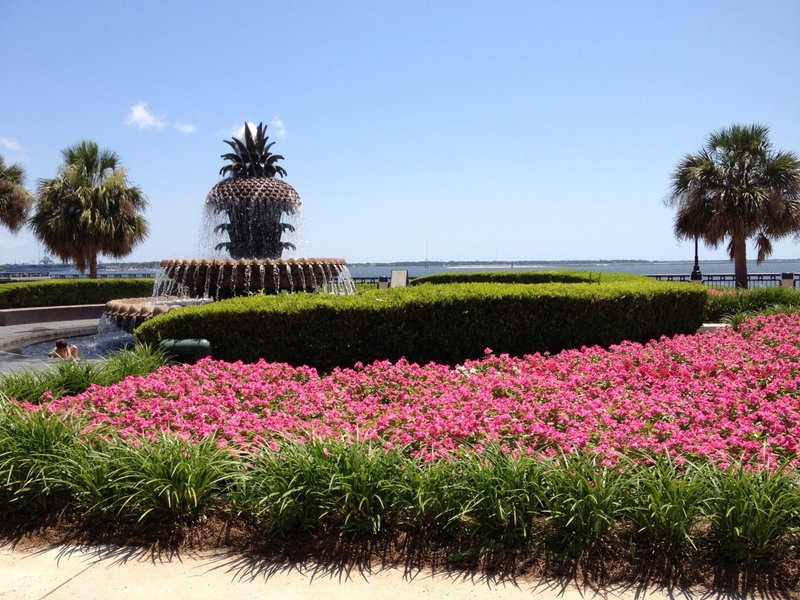 This unique and beautiful fountain on Charleston’s waterfront is reflective of the Holy City’s renowned welcoming spirit.